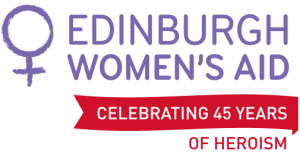 In 2018 Edinburgh Women’s Aid is delighted to celebrate 45 years of heroism, survivors, courage and support for children. Edinburgh Women’s Aid was founded in 1973 as a registered charity. It was set up by women, for women, to provide women and children who are at risk of domestic abuse with a safe and friendly place to turn to; for support, information and, if necessary, refuge accommodation. As part of the Women’s Aid network, we also work to change attitudes and the legal system. We campaign to bring the issue of domestic abuse from behind closed doors and have it recognised it as a crime. Although attitudes are changing and domestic abuse is more openly acknowledged, there is still a long way to go as more than 1,000 women still contact us each year. Over the last four years, we have doubled in size and now have a range of services as well as 29 refuge spaces, and a fully accessible space. We have also improved our existing support and developed new services to help women in need. In addition to this we’re involved in many partnerships in Edinburgh which help to raise awareness and develop services for women who are experiencing, or are at risk of, domestic abuse.